‘Passionate, Professional, Personable.’ That’s our motto here at Rapid Accommodation. We’re passionate about what we do. We always work in a professional way. And, as you’ll discover when you book your business accommodation with us, we go to great lengths to make sure there’s always a person on the end of the phone, not some automated robot. So, to help you get to know even more about the people behind Rapid Accommodation, we’ve put together a special series of interviews that dig a little deeper into what motivates us to help you save time and money and make working away feel that little bit closer to home. REBECCA: It was so weird to begin with. It’s crazy to see where we are now compared to how it started. There was me and my mum upstairs in our guesthouse calling people up. And then we brought Karl in and it started becoming this bigger thing. We had to figure out really quickly how to organise ourselves so the business could grow. RAPID: And you ended up as Operations Director? REBECCA: Yeah. It was by pure chance really. We realised we needed to divide responsibilities up so we could focus and all move in the same direction. Karl seemed a natural fit for the numbers side of things, so he became the Finance Director. Mum was born to talk to people, so she led sales. And I picked up everything else, the operations side of things. It’s worked out really well, and I’m so glad we did it like that early on. RAPID: We spoke to Linda and she explained it’s a really good dynamic between the three of you? RAPID: But secretly…how is it working with your Mum? REBECCA: Haha. It’s horrible! She’s totally annoying. But no, it’s great. She’s brilliant. And without her, we just wouldn’t have connected with many of the clients we have today. I’m so lucky to be able to learn from her experience. Don’t get me wrong…we have our arguments. Like any mother and daughter we’ll have absolute screaming matches. But it’s just because we’re honest and passionate about what we do. RAPID: That passion is a big deal for you guys, right? REBECCA: Totally. This business means so much to us personally and we put everything into it. RAPID: That’s throughout the team too, isn’t it? REBECCA: Yes. We have a very tight-knit team, who all ‘get it.’ It’s more than just a job. At least, that’s how I hope it is for everyone now. But yeah, I think we’re good. Everyone’s involved and everyone knows that for us to compete we need to provide our clients with a level of service that goes beyond what they’d normally expect to receive. 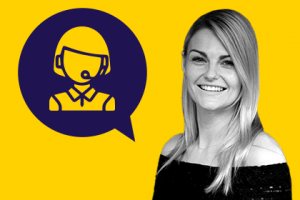 It’s the passion and the personality that gives us an edge over other companies where you might only ever speak to a call centre or deal through a website. RAPID: What’s your best tip for people working away from home? REBECCA: Hmm. Make sure you’ve got our number? Can I say that? REBECCA: But really, I don’t think a lot of people realise we have a 24 hour helpline, so if you need anything you can always contact one of our travel assistants on the line. RAPID: And that’s when you really do realise how personal the service is. REBECCA: Exactly. I’d also say to always be cheeky and ask about complimentary stuff. You can often get more than you realise just by asking. But most people don’t. That and chargers, but I bet everyone has said that. RAPID: Ha. Yes, remembering your charger is fast becoming the number one top tip for people. It’s pretty much unanimous. REBECCA: Yeah. A more business-y thing I think is a good tip is keeping an eye on VAT when booking through well-known comparison sites. Because those firms are registered abroad, companies are unable to claim VAT back on their booking. But with us, we’ve figured it out so you can always claim it. It’s a little complicated, but if any businesses aren’t sure about it, they can give us a shout and we can explain how it works. It saves a nasty surprise when it comes to sorting your VAT. RAPID: Talking about companies being abroad, you’re in the process of launching the new travel side of the business at the moment, can you tell us a little bit about that? REBECCA: Yeah, it’s a really exciting time. We have Rapid as a brand now. We’ve got that image and our clients know it’s a name you can trust. But we realised that some firms need more help than just accommodation…they need flights sorted. Trains. All sorts of different travel bits and bobs. And so it seemed natural that we should step up to the plate. We came up with this idea of a travel assistant helping you every step of the way and so it’s just evolving this way naturally. RAPID: So how does it split as far as clients are concerned? REBECCA: We’re keeping it really simple. The accommodation side takes care of accommodation. Obviously. And if that’s all the client needs, that’s the side of the business that will take care of them. As soon as it becomes any more than that, if people need travel sorting, or something else that’s above and beyond accommodation, it’ll likely run through the travel side. It’s early days yet, so we’ll see how things evolve. But it’s working really nicely at the moment and the feedback we’ve had is great. RAPID: That’s great to hear. How can people find out more about that? REBECCA: We’re just in the process of getting the website properly sorted and all that stuff, but we’ll be talking about it more soon so people should keep an eye out. RAPID: Good stuff. Before we go, we saw you nominated The Notebook as your top film to watch when away for work. That’s a bit sad for being alone isn’t it? REBECCA: Haha. I guess. But I love it. I think it’s so romantic. What better film to watch when you’re away from your loved ones? It reminds you of going back to them, right? RAPID: Hmm. We’re not convinced, but we’ll let you off. RAPID: Thank you for talking to us. REBECCA: No problem. And of course, if people reading this want to find out more about how we can help them with accommodation or travel, we’re always available to talk. Just give us a call. And with that, Rebecca’s phone literally started ringing with an exciting client on the line and she rushed off to help them out. As you’ve heard, it’s that passion and care that make Rapid the company to choose when it comes to arranging your business accommodation.